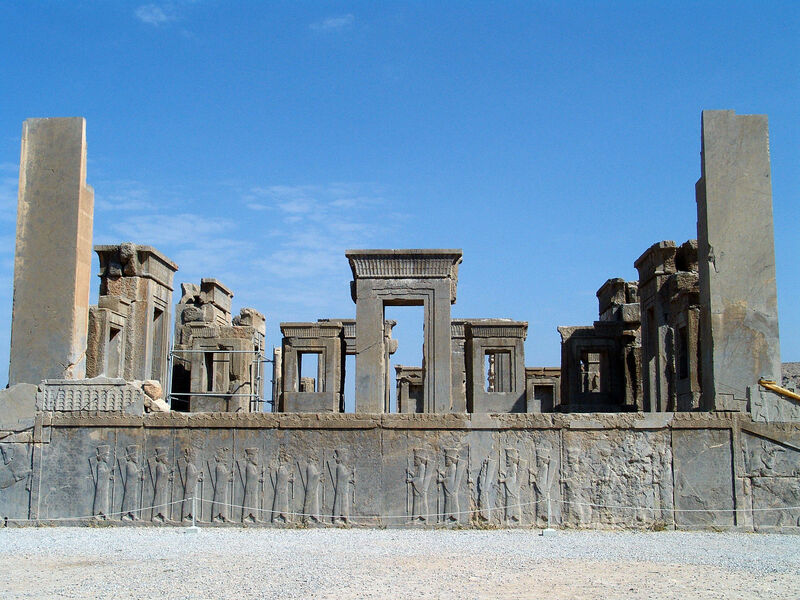 Finding a Buyid inscription carved on the stones of the ancient palace of Darius, in Persepolis, does not seem to be anything new. And indeed it is not. Anyway, the fourth Buyid inscription of Persepolis, carved to commemorate Abu Kalijar, grandson of Baha’a al-Dawla, is quite interesting for some peculiar features. 428 [25 Oct 1036 – 13 Oct 1037], which was the year of the victory at Faruth. The first feature that is worth noticing in the inscription by Abu Kalijar, is the great amount of honorific titles it provides. Whereas his predecessors named themselves ‘simply’ amir, great amir, or king of kings/shahanshah, here Abu Kalijar detains a plenty of titles: king of kings, vivifier of God’s religion, soccorrer of God’s servants, associate of God’s caliph and glorifier of the Commander of the Faithful. Leaving aside the names and titles provided in the text, anyway, what it seems to me more interesting, from my point f view, is the Iranian shift, that appear in the words chosen to be included in the text. Whereas his predecessors used, in their inscriptions, the Arabic, hijri calendar, Abu Kalijar decided to use, apparently, the Persian one. The date is given citing the day and the month in Persian, whereas the year is given in hijri calendar. The Zoroastrian calendar was of course used in the period together with the hijri one, but it is interesting that a Buyid ruler decided to use this calendar, or at least some names deriving frm that calendar, to be carved in an inscription in Persepolis. Also, this is one of the very first inscriptions from Iran not being carried out in strict angular kufic, but in a ‘primitive’ form of naskh. Sorrowfully I am not able to provide any image of the inscription, but I am confident that I will find one soon. S. S. Blair, The Monumental Inscriptions from early Islamic Iran and Transoxiana, Brill, Leiden 1992, pp. 118-120.